Looking for private in-home or in-studio Songwriting lessons? Our Golden teachers are ready to get you started. Find your teacher today! Check out some of our most popular teachers near Golden, CO including Denver, Aurora, Littleton, Englewood and Arvada. Song writing can be tough... or it can be easy. Regardless of the type of piece you want to create, I can help you from start to finish. With a strong background in music performance, and a degree in English Literature, I use my experience to help you discover the perfect chord progressions, the best way to say what's in heart, and exactly how to blend it together into a song that expresses you. Since 2005 I have been composing music for a wide variety of ensembles and artistic platforms. Whether it be for a choreographed dance number, brass quintet/chamber music, or jazz orchestras, I've been able to hone my arranging and scoring capabilities to enable me to adapt any song, or write my own to suit any situation. All songs have basic building blocks that make them songs. You will become familiar with these, and learn to wield them, in order to create your own. We'll look the music of many different genres, and extrapolate what you like from each; in this way your writing, no matter what style of music it's in, will reflect a depth and character that only the best musicians throughout time have been able to achieve. 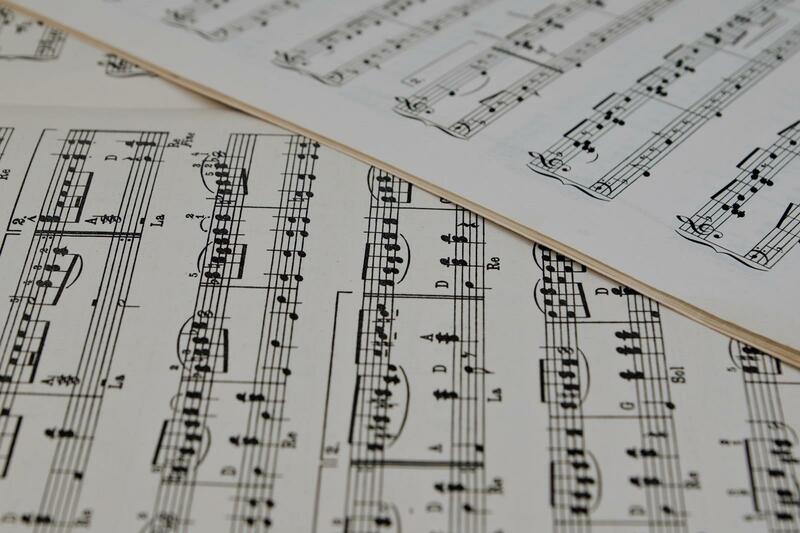 I can assist you with every aspect of music composition as it applies to any situation you are writing for, and help you to be able to write the music you are hearing in your head! Learn basic to complex popular song arrangements. Develop melodies and lyrics based on a variety of common songwriting techniques found throughout the ages. Work on counting measures while playing and maintaining a designated arrangement, thus allowing the opportunity to play with a band. I've been writing songs for 14 years, it's an incredibly rewarding and therapeutic process. I'll help explore all the available tools so that you can write songs that have the effect you want them to have. My band is called: Cherry Veil. Look it up. I write the songs. Being a singer songwriter starts in the heart. It takes a lot of guts to keep this going. If you want to learn about song writing you've come to the right place. I come from a song writer family, studied it in college and am still writing songs today. It's in my blood and if it's in yours, come learn techniques to improve your skills. Learn how to keep encouraging yourself to keep writing. Learn how to perform them better so that others will ask to perform the for you! All Chodosh Guitar students get to attend free groups! I have written over 100 songs and recorded the and am currently selling on iTunes. I'd love to help you write music. I can show you where to pull ideas from as well as how to identify cliches in order to be as original as possible. Can't find a teacher in Golden, CO? The average cost of 30-minute songwriting lessons in Golden is $30. While the exact cost will vary depending on the teacher, type of lesson, and your location, you should expect to spend anywhere between $30 and $30 per hour. For the best experience, we typically recommend 30-minute songwriting lessons. However, students looking for a more affordable option may want to consider a shorter lesson length of 45 or 30 minutes. Curious how much songwriting lessons cost in your area? Do a quick search to get local prices for the best songwriting teachers near Golden.